Hi everyone! 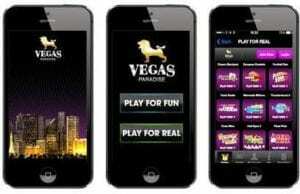 in today’s Casino4U blog edition, we will be outlining new bonus updates at Vegas Paradise Casino. So, without delay, we will get straight into it. Be sure to leave your comments in the section found at the bottom of this page. First of all, the new Eyecon games free spins offers are here! Vegas Paradise is giving players free spins on the newly added Eyecon games, please read on for the details. Offer details: 5 free spins on sign up + 15 free spins on 1st deposit – (Kitty Payout) + 25 free spins on 2nd deposit + 25 free spins on 3rd deposit – (Fluffy Favourites, min dep £€$ 20). The signup offer is valid from November 1st 2018 till 24th January 2019 and the deposit offer is valid from November 1st 2018 till 31st January 2019. Furthermore, Vegas Paradise Casino has been supplying premium igaming services since 2014. Also, this site is an official Progress Play Casino site. In the period we have been partners, they have truly exceeded our expectations. Progress Play is very well known and a well-respected company. Basically, they provide a professional yet playful online casino experience. They combine an ideal balance of games and promotions. The top mobile slots are provided by the most reputable providers that include NetEnt, NYX and Microgaming. In addition, if you have not already signed up to place a deposit and start playing, we recommend having a quick read of our Vegas Paradise Casino review. As a result, we believe you will have a better understanding and get an idea of the services to expect. Alternatively, you can enter the site now to jump right into an immersive internet gaming experience. Finally, please feel free to leave any suggestions or ideas in the feedback section found below.